A Wick man has been ordered to pay £1,160 in fines and costs, after being found guilty in court of committing waste related offences in South Gloucestershire. Liam Budds, 24, of High Street, Wick in South Gloucestershire was prosecuted by our environmental protection team after two separate loads of fly tipped waste were discovered – one at Ham Lane, Wick and the other at Redford Lane, Pucklechurch. 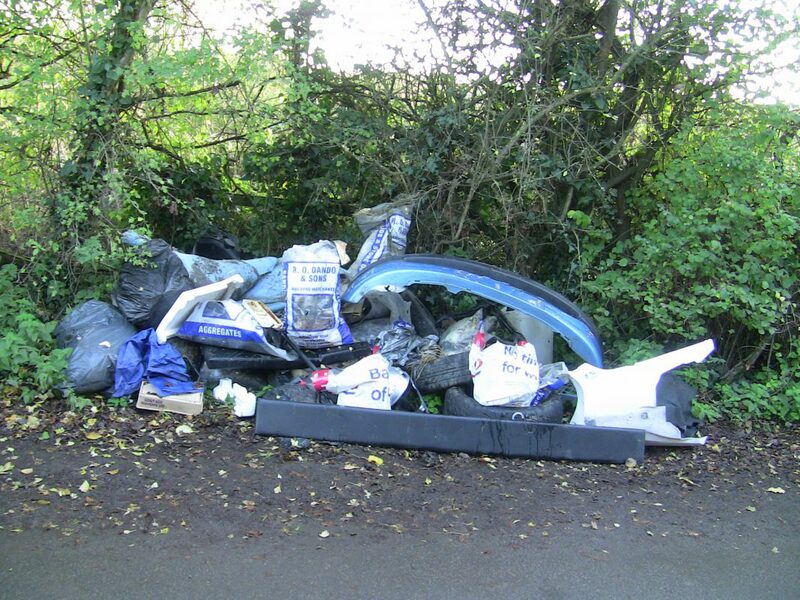 Paperwork found at both fly tips referred to an address in Kingswood, South Gloucestershire. Subsequent enquiries with the Kingswood householder revealed that some of the waste at both fly tips came from his address and that he had paid Budds to remove the waste. Budds was interviewed by council officers and claimed that he was in an informal business arrangement with another man and that they jointly owned the vehicle. He admitted that he was the driver on the day and claimed that both he and the other man went to the householders address, but the other man remained in the vehicle as he had a broken arm in a plaster cast. With the householder’s assistance, Budds loaded the waste onto the vehicle and was paid £70. Budds accepted that he was part owner of the vehicle, was paid to remove the waste and had a duty of care regarding the proper disposal of the waste, but claimed that he had not fly tipped it. He stated that the other man was no longer in the UK. The case was heard at Bristol Magistrates’ Court on Wednesday 10 October, where Budds admitted that he didn’t have the correct paperwork for transporting waste. He was found guilty of a failure in his duty of care for not having a waste transfer note and was fined £200, along with a £30 Victim Surcharge and costs of £930, totalling £1,160. South Gloucestershire Council’s Executive Member for Communities and Tourism Cllr Paul Hughes said: “Waste crime is an issue that affects our communities and harms the local environment, but could so easily be avoided as our Sort It centres are open from 8.30am to 4.30pm, seven days a week. Residents and businesses are advised to only give their rubbish to an Environment Agency registered waste carrier. Contractors should ensure that they hold a Registered Waste Carriers Licence and they comply with the Waste Transfer Note requirements.